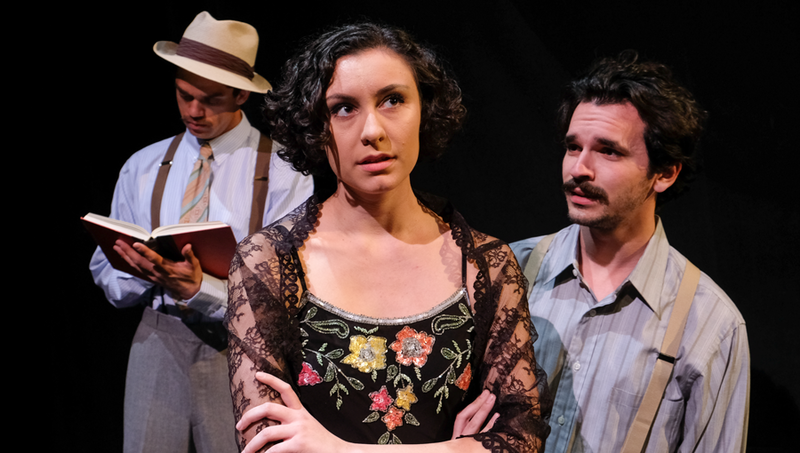 The SDSU School of Theatre, Television, and Film will stage a production of this lush and romantic award-winning drama April 20 - 29 in the Don Powell Theatre. CJ Keith will direct. Passions and ill-fated love ignite when a charismatic new lector comes to the Ybor City cigar factory to read to the workers. Romances flame and marriages explode when he begins reading the novel Anna Karenina and the scandalous lives of Tolstoy’s characters become dangerously intertwined with the lives of his listeners. Anna in the Tropics is a steamy, lyrical plunge into the whirlpools of imagination and love. Nilo Cruz is a Cuban-American playwright whose work has been produced widely in the United States. Since fleeing Cuba on a Freedom Flight in 1970, playwright Cruz has returned only once, in 1979, to visit sisters who initially remained behind. Anna in the Tropics runs Friday, April 20 - Sunday, April 29 in the Don Powell Theatre. Tickets are $20 General, $17 Students/Seniors and can be purchased online at theatre.sdsu.edu. The San Diego State University School of Theatre, Television, and Film combines the arts with the traditional roles of the university by teaching the theory, history, literature, and crafts of theatre and film. The School works to benefit the community by providing educational and entertaining arts performances, particularly to San Diego youth. Utilizing innovative curriculum, interdisciplinary initiatives, and research into evolving technologies, the School is committed to preparing the next generation of entertainment arts professionals. The SDSU School of Theatre, Television, and Film provides transformative, experiential learning that prepares students to launch creative careers. For more information, visit ttf.sdsu.edu.